New Englanders know that winter can get wicked cold -- but safety officials are warning them about being safe when using solid-fuel heating sources, such as wood, coal and pellet stoves, along with fireplaces and chimneys. It's important to make sure furnaces and chimneys have been professionally checked each year before it starts to be used during the colder seasons. 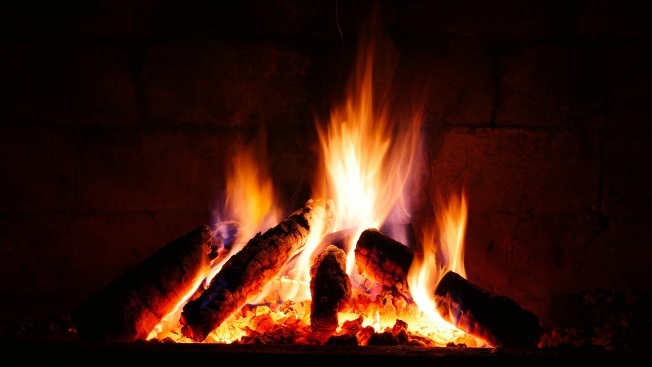 Most chimney fires are caused by a build-up of tar-like by-product of burning wood called creosote, and creosote build-up can be reduced by using dry, well-seasoned hardwood for burning. It's also key to check the chimney's damper is open and to use a fireplace screen to prevent sparks and embers from flying and falling to the floor. Remember to use a metal bucket when cleaning out ashes from a stove or fireplace and place them outside on the ground away from a building, since a live ember can still smolder for a while, even if it looks like it's not. If you're building a wood, coal or pellet stove, be sure to get a building permit first. They also have to be inspected by a local building inspector before being used. Click here for more tips.